Watched as the sun crested a clementine slice over the Old City at daybreak. The Judean hills were lavander-blue against the horizon and dove were singing as if celebrating Easter early. About to turn toward home after an extraordinary trip. Jerusalem. “The navel of the world,” according to ancient Jewish tradition. 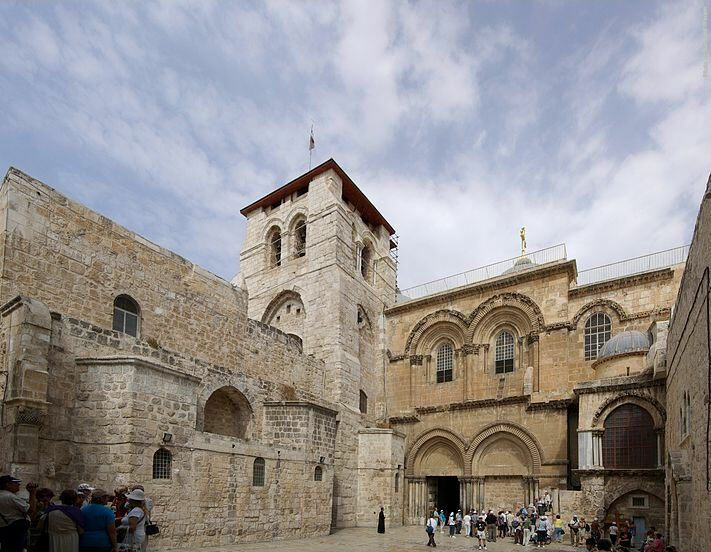 Jerusalem is the Old City, a walled UNESCO World Heritage site accessed by seven gates (with another four sealed) and comprised of four major quarters: Christian, Jewish, Islamic, and Armenian Christian — each with it’s own flavor. The crown of the Old City is the Temple Mount, where Jewish and Christian tradition hold that King Solomon built the Second Temple, destroyed by fire during the Roman siege in 70 AD. 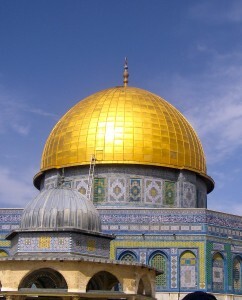 The Mount also is sacred to Muslims as part of Muhammad’s Night Journey. I’ve read more than once that the Temple Mount is the single most contested piece of real estate on earth. Based on the security and turmoil surrounding the spot, I believe it. Because of a vast expansion of the Al-Aqsa mosque underneath the Mount (under the authority of the Muslim Waqf), tensions run higher now. Christians and Jews are discovering antiquities from their heritage in rubble from this construction. Everywhere I looked in the Old City, I saw antiquity. Stone steps worn several inches lower in the center from thousands of years of bare feet and sandal treads. City-bus-sized boulders, foundations of the walls of the Mount and unmoved since King Herod’s time (the time of Christ). 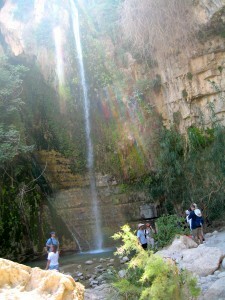 The Pool of Siloam and Hezekiah’s tunnel, both mentioned in the Old Testament book of Isaiah, dating from 500 BC, surrounded by tourists and pilgrims. 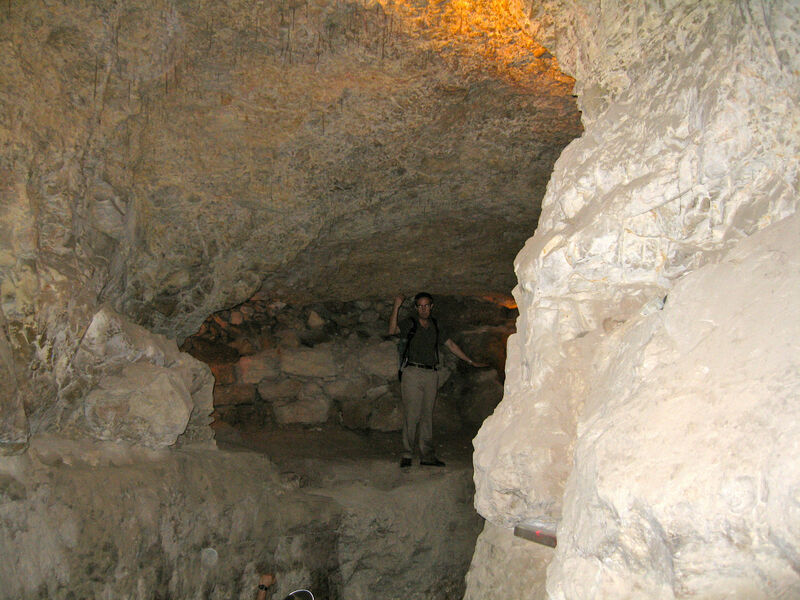 I barreled through the shadowy passageways, doing the normal site checklist interspersed with archaeological endeavors and surveys. And of course, I’m photographing sites from When Camels Fly. The Church of the Holy Sepulcher and the Ethiopian Orthodox Dier al-Sultan Monastery on its roof; the Triple Gate at the top of the monumental staircase on the south of the Mount, above the Ophel valley; and King David Street, barely wide enough for a hand- or donkey-propelled cart; these are a few of the sites on my photographic shot list, and I’m looking forward to sharing them with you. 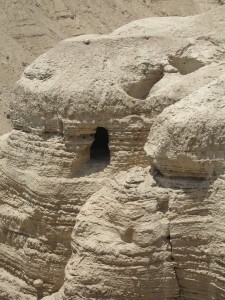 Aside from the David/Saul angle, the Dead Sea is probably most famous for Qumran, where a shepherd looking for a lost sheep tossed a stone into a cave. 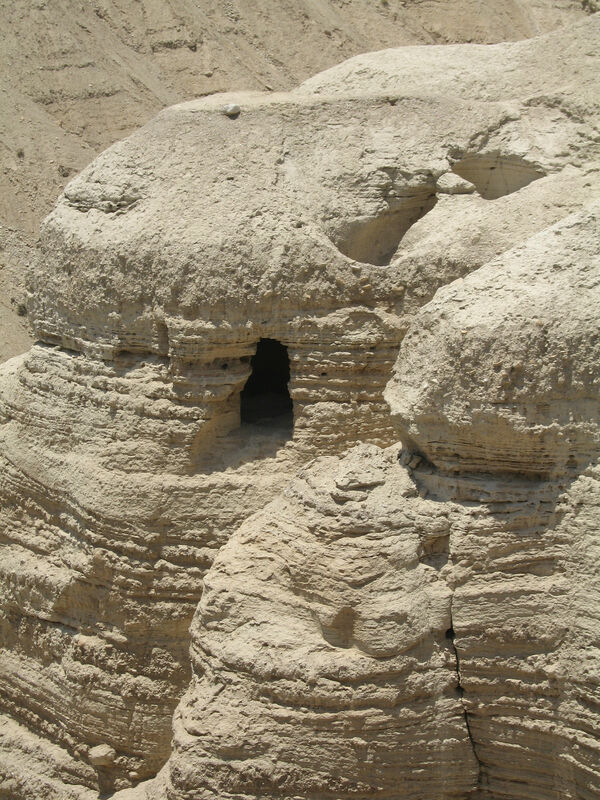 Stone hit pottery in a clink heard round the world, and the discovery of a trove of two-thousand-year-old parchment, papyrus, and bronze documents — the Dead Sea Scrolls — yielded the oldest known version of every book of the Hebrew Bible. Mystery surrounded the unfurling and translations of the scrolls, and the documents are still surprising schoalrs. They’re arguably the single greatest Biblical, and archaeological, discovery of my lifetime. 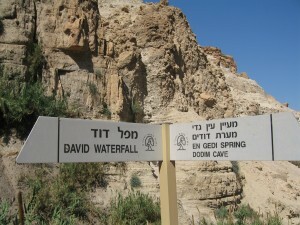 In my memories, though, I return to Ein Gedi. It’s smack dab in the middle of nowhere — and a dry, sterile, forbidding nowhere. 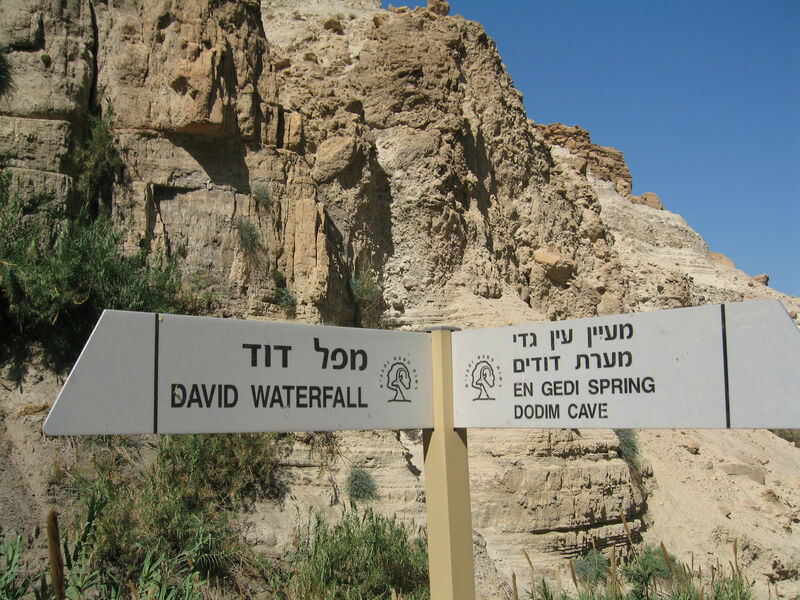 But as I ascended the pebbly dirt track, jumping (or in my case, flailing) from stone to stone, crossing the stream that ends up in the Dead Sea, I realized I was walking an aisle in God’s supermarket. The stream contains drinkable water from four springs: Nahals David and Arugot, and Shulamit and Ein Gedi. 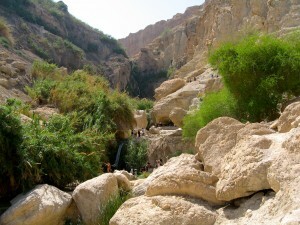 Olive, fig, and almond trees dangle from wadi cliffs. Fennel plants and rosemary bushes spring from cracks and sprout from behind boulders. Ibex and a variety of birds accompany the hiker, the latter providing a cheery soundtrack. A man could hide here indefinitely, I remember thinking, and not starve to death, although the surrounding countryside is deadly. We’re staying on this visit at one of the swanky resorts on the shores of the Dead Sea, where people get mud wraps, float in salty water, and relax. I’m going everywhere, though, instead of treating the time as a vacation: the Monastery of the Temptation,Wadi Qilt, and Jericho (in the West Bank); Masada; Scythopolis. I’m in London, battling jet-lag on my way to Israel. I gladly left a Winter Storm Watch dumping snow — a springtime ritual — on the Rockies. I’m delighting in yellow sea-swells of daffodils in Greens Park across the street from my hotel. (I get double daffodils this year! The eight-hundred bulbs my son graciously planted bloom in May.) And I will soon return to the Biblical wilderness, slathered in sunblock, wearing a hat, under an umbrella whenever possible. (Detect a trend?) Life is good. Rest assured that I’m taking photographs. An important scene in When Camels Fly occurs in Lincoln’s Inns Fields, and travel is a privilege that should be shared, even vicariously. Watch for new London and Middle East images and videos in April. But back to London, which I first visited thirty-five years ago as the only member of my family to travel abroad or graduate university. (Many have done both since my forays.) 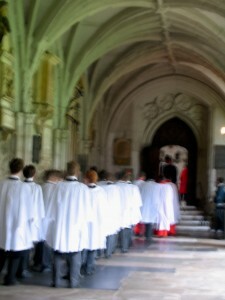 Once more, I’m attending Evensong at Westminster Abbey, a favorite service. Taking tea at The Ritz. 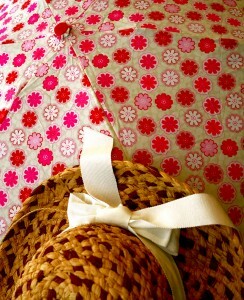 And, if the weather is good, walking everywhere— something I don’t do on frozen mountain ground. Seeing Europe and the Middle East through my children’s eyes was a revelation. 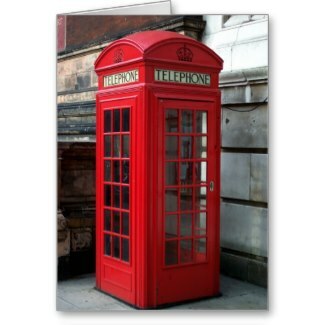 My son, then eight, paused to peer into every red British phone booth until we asked why. He replied that he was looking for toilets, because he thought the boxes were Port-A-Potties like one on the lot where we built in the States. Discussing the direction of Turkey with my extraordinarily well-educated guide was a revelation. He lamented his country’s direction and feared the loss of democracy would limit his children and grandchildren. My daughter shudders when we talk about Jordan, littered with billboards depicting King Abdullah, Queen Rania, and the Crown Prince. The atmosphere in Jordan, and our experiences there, remind her of the Big Brother state in Orwell’s 1984. Because of travel (and education), my Christian worldview is truly a WORLDview. Travel has introduced me to Muslims and Buddhists, Christians (of all stripes) and atheists, and a few folks in between. It’s provided context for my thinking, and an understanding of cultures and beliefs that would be only textbook without extensive travel. My faith, an everyday practice that guides my life, takes flight each time wheels leave a tarmac, and I head abroad. I’m glad you’re with me, and I’ll be seeing you soon.